It’s a common misconception that Facebook ads only work for fluffy awareness or engagement campaigns and that they’ll never drive actual sales. This is definitely not the case! 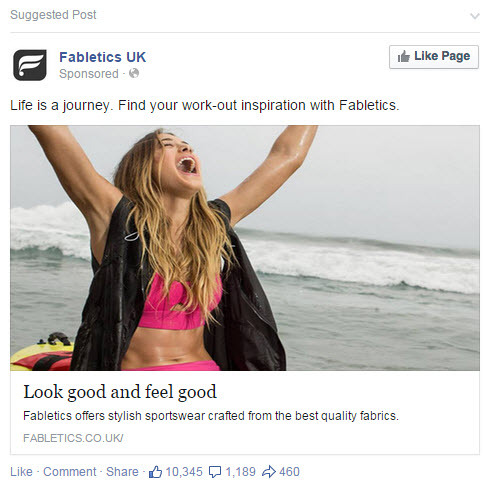 Facebook ads are also an invaluable format for ecommerce campaigns. 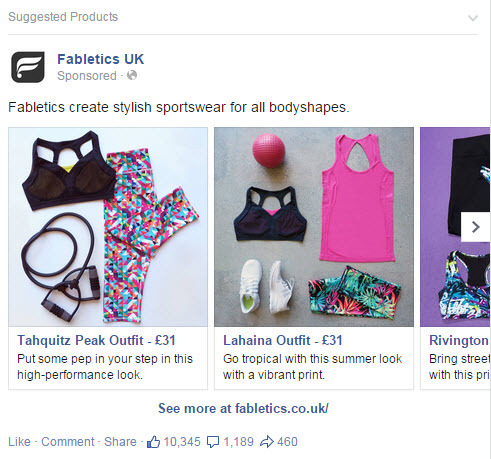 A recent Facebook ads campaign we ran for a well known high-street retailer generated an ROI of over 300%* based on online sales alone. In this post I’ll be sharing ten tips to help you get the most out of your Facebook advertising for ecommerce. This tactic was recommended to me by my Facebook rep, and made me very nervous at first, because it takes a good three or four days before the conversions start streaming in, and I am quite possibly the most risk adverse person you could ever meet. 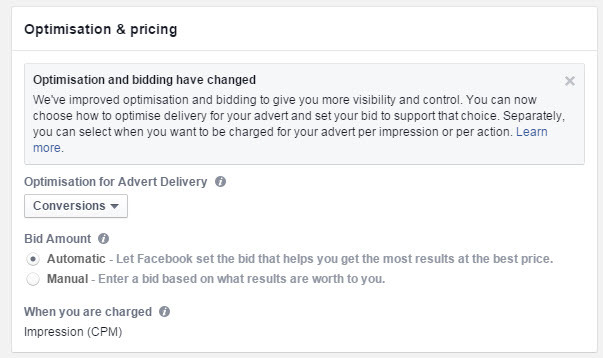 You’re probably used to hearing about how you should have highly targeted audience segments in your Facebook ads, and this is generally true, but if you’re using the optimise for conversions campaign type then you need to make sure your audience is actually very big and quite broad, so enough data can be gathered to allow the campaign to auto optimise for conversions. You need an audience that is at least a couple of million in size. You’ll also need a fairly decent daily budget to be able to reach a good amount of the audience during the first few days. 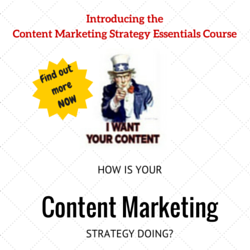 Within three or four days I usually start to see conversions start increasing steadily. If you then need to start focusing on controlling your cost per conversion you can experiment with setting your bids manually, and see how that effects the quantity of conversions coming in. Remember it’s a CPM bid, and it might be a bit higher than you’re used to setting bids at if you’re from a CPC search ads background like myself. If after a few weeks you find the conversions start to slow, try setting up another new ad set with a slightly different starting audience. Maybe it’s a 10% lookalike of your current customers, or of your website visitor custom audience pixel. I’m a firm believer that you need to see the conversion value of your ads in the interface that you’re optimising in. Even if you’re using UTM tracking and can see the revenue from your ads in Google Analytics, it helps to see it directly in Facebook because not all Facebook clicks will be tracked in Google Analytics (due to things like the user not having java and many other reasons), and they use different default attribution models. Ask your web developer to edit the standard Facebook pixel so that it uses the ‘Purchase’ standard event and imports conversion value, using these instructions. 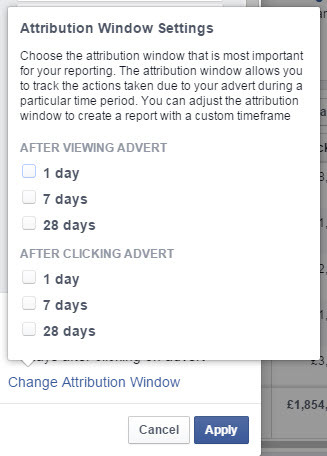 Facebook don’t offer a magnitude of attribution options, and their default attribution window is fairly broad. 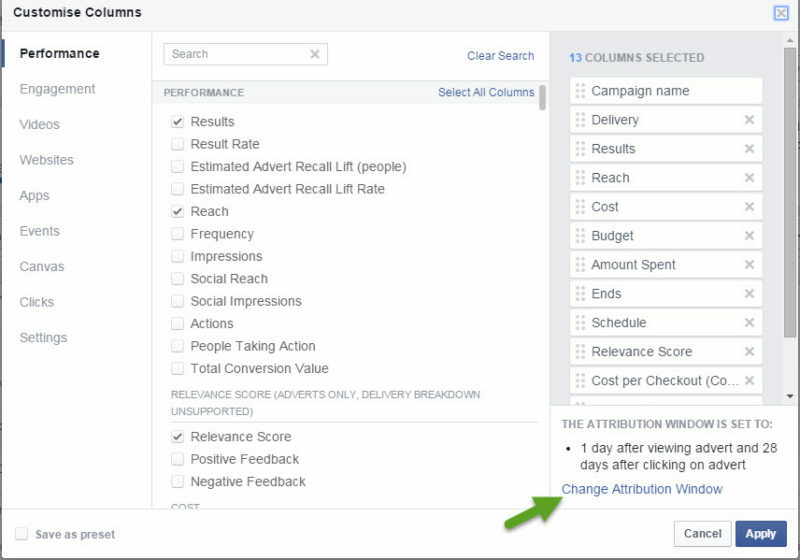 When you apply the ‘checkouts’ and ‘checkouts conversion value’ columns to the reporting table, the attribution window is based on anyone who converted after simply viewing the advert within one day of their purchase, or purchasing up to 28 days after they clicked the Facebook ad. Although I have no doubt that views of an ad can attribute to conversions, until Facebook make a move towards evaluating the value of the view (like Google’s ‘viewable impressions’), I prefer to use a more robust window that only takes into account clicks. 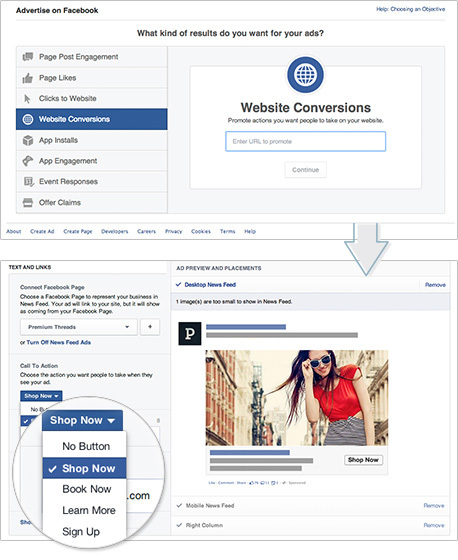 If you’re comparing your Facebook ads to your PPC ads, consider setting the attribution model to match this. Unfortunately the maximum window is 28 days, so you’re a bit limited if you have a particularly long path to purchase. Not only are carousel ads suited to ecommerce because of the opportunity to display multiple images, but they are proven to generate a higher link click through rate, which is great for your Relevance Score, and results in very cost effective ads, which ultimately helps lower your cost per conversion and increase ROAS. A study by Kinetic shows the link click CTR of carousel ads was over four times better than non carousel link click ads. 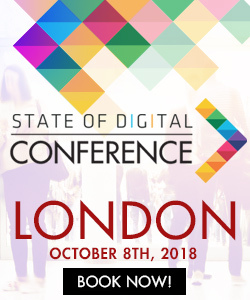 The temptation for ecommerce advertisers is to make all the images in your ad heavily product focussed, but this technique alone won’t work on Facebook. The beauty of Facebook ads is that the image can be pretty much whatever you like (as long as it’s less than 20% text). Unlike Google Shopping ads, you don’t need to have a plain white background and you can show the product in context. Take advantage of this! Some of my top performing ecommerce carousel ads have included a mix of product images and lifestyle images. Remember that Facebook isn’t where people go to shop naturally, so you need to intrigue them and get their attention with nice looking lifestyle images as well as promoting your product. For fashion retail ecoms you could try ‘get the look’ carousel ads where each image shows a model wearing the product in a different way or in different locations. I think this helps the audience feel like the product helps them be part of / live a particular lifestyle, which is way more than you can communicate in a Google Shopping ad! I recently saw ASOS using carousel ads to display one long image that was broken into each of the smaller images, and it really stood out because no one else has been using them in this way yet. Outside of the fashion /clothing industry there’s still loads you can do to jazz up your product shots. 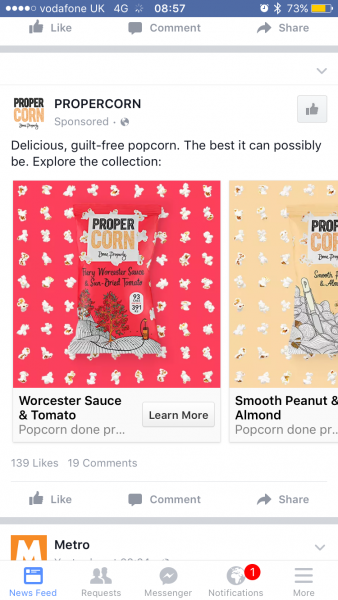 Take Propercorn, who created the ad below which manages to show the product without being dull or boring. It’s no secret that the key to high CTR and high converting ads is relevance to the user, and you couldn’t be more relevant than showing them the exact products they viewed on your website within an ad. 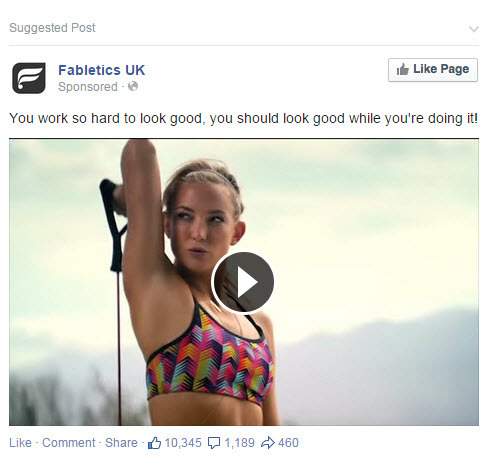 Much like AdWords dynamic remarketing, Facebook’s dynamic product ads are a dream come true for ecommerce advertisers. There was a time when these were only available through third parties such as ad roll, but they are fully available through Facebook directly now so there’s really no excuse not to be using them! Essentially you’ll need to upload your product catalogue, customise and place the pixel on your website, and customise an ad template (that the product images will be pulled into). You can find full instructions here. You probably have a good idea of the type of people who shop on your site. You might have a combination of regular but low value purchasers, the less frequent but higher value purchasers, and the sale only purchasers. 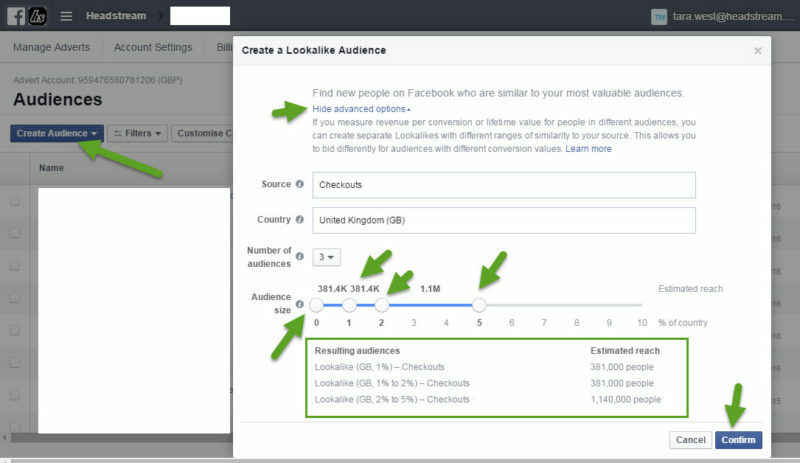 Use this knowledge to segment your customer email database and upload these segments as Facebook custom audiences. You can then advertise to these different audience segments at different times, with different messages that match their behaviour. For example if you know part of your mailing list only ever shop during sales, there’s no point targeting them with your everyday ads, so exclude this audience from your ad targeting on everyday activity. If you’re running a promotion, then it might be a good idea to increase budget on your normal sale buyer audience as you know that getting a bargain is what motivates them to purchase! I’ve been told on a number of occasions that my answer to everything seems to be ‘try a lookalike audience’, which is probably true, but it’s just because they have worked so well in my experience! If you have a background in AdWords, you’ll be immediately sceptical (I was) because the concept of lookalike audiences reminded me closely of ‘similar audiences’ which is created automatically when you create a Google remarking list. Well fear not, because they are much more effective! I think it must simply be because Facebook has so much more data on users to decide on what makes them similar, and they also give you the control to decide how similar you’d like your lookalike audience to be. For ecommerce, I’ve found the most effective lookalike audiences are lookalikes of your conversion pixel (people who have already completed a purchase), or lookalikes of your customer mailing list (as long as it’s up to date and excludes the people who haven’t purchased in a long while). Click the ‘advanced’ button, which will allow you to create three lookalike audiences simultaneously, and also shows you the estimated size of each lookalike. The size will depend on the size of your original audience. Start by creating a 1% and 2%, and then if your audience is quite large move to 3%. If it’s not very big then try moving to a 5% straight away just so you can get enough reach to use the optimise for conversions setting and objective I mentioned earlier in this post. I’ve had the best results by starting small, with a 1% lookalike audience. Run ads to that audience for a while, and then create a new ad set which targets a 2% lookalike, but exclude the 1% lookalike that you’ve already targeted. As the 2% becomes less effective, move to a 3% in another new ad set and exclude the 1% and 2 % you’ve already targeted. When you create ads for this audience, you should consider that they might be new to your brand and craft the image and messaging accordingly. Some of the most successful ecommerce results I’ve achieved through Facebook ads have been when the strategy has included a priming phase, before the product heavy ads. This is particularly true if the brand is relatively new, or is targeting quite new audiences (such as lookalike’s or completely new audiences). In a world where consumers are bombarded by ads and there are so many brands to choose from, it would be arrogant to stroll straight in and shove a product heavy ad in their face then expect them to buy from you straight away. This is especially true on a platform like Facebook where they don’t actively go to shop. Prime your audience by showing them branding ads for a while before you start showing product ads. This is a type of sequential advertising. Facebook’s research suggested that Refinery29 received a 49% uplift in conversions when using the sequential advertising approach. This was for email registrations rather than ecommerce transactions, but it’s still a powerful stat that illustrates the effectiveness of this approach. 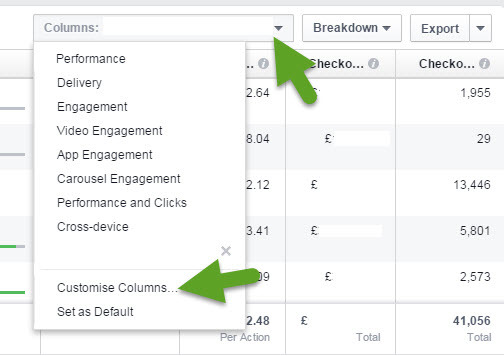 Are there any other tips you’ve found useful for your performance on Facebook as an ecommerce advertiser? Share them below in the comments section. (Facebook CTA button Image source).